As an experienced Cadillac locksmith service provider we understand the lock-wise necessities of every Cadillac model. Be it the Cadillac SUV, ATS, CTS and the host of other models. We understand how the locks work, and we know the peculiar requirements of each Cadillac model’s lock and key and we’re fully equipped to help you get your key made, maintain and duplicate them. One of the perks that come with being an experienced automotive locksmith is the understanding that professionalism is important. For this we take great pride in, as our skilled technicians are very professional and meticulous in getting the job done. Having undergone the required training and getting certified, we are absolutely certain that you won’t only get your locksmith problems taken care of, you will be well taken care of. 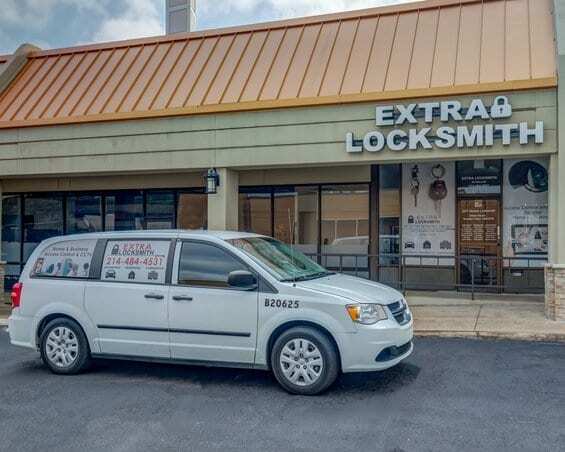 Extra Locksmith Dallas aims to create a longstanding relationship with our clients and understand that a good service will only go so far to make it possible, but professionalism will keep you coming back. Key Replacement, Key duplication & Ignition repairs. Have you had car key troubles at the early hours of the morning? Or were your car keys nowhere to be found during the holidays? Or did you ever place your car key in a precarious way, only to return to it broken, at the worst possible time? We know this can be very frustrating, it has happened to the best of us; which is why Extra Locksmith Dallas offers 24 hours, around the clock service 7 days a week, all year. Yes! You read that right! So, you no longer have to worry about waiting until a weekday before the dealership can attend to you, or spend your holiday immobile because you cannot get a locksmith to get your car key made during that time. You only just need to give us a call and we’ll attend to all your Cadillac car key troubles in 15-30 minutes flat, bank on this. 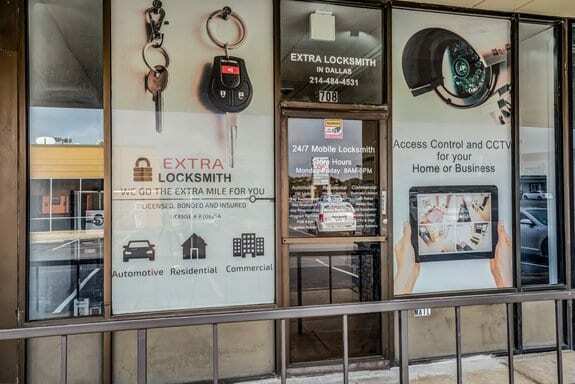 At Extra Locksmith Dallas, we are always ready and available to give you a hand. 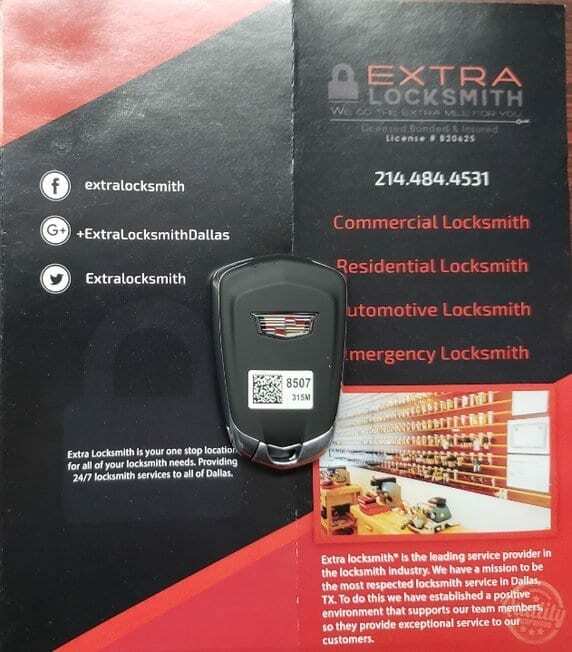 Forget about the prices being offered to you by dealerships and other automotive locksmith agencies, at Extra Locksmith Dallas we provide you with best service possible without breaking your bank. You can be rest assured that when you call in your time of distress, at the oddest hours of the night that we will not charge you a ridiculous amount for the top notch service we’ll offer you. Subscribe to our email list for great deals!